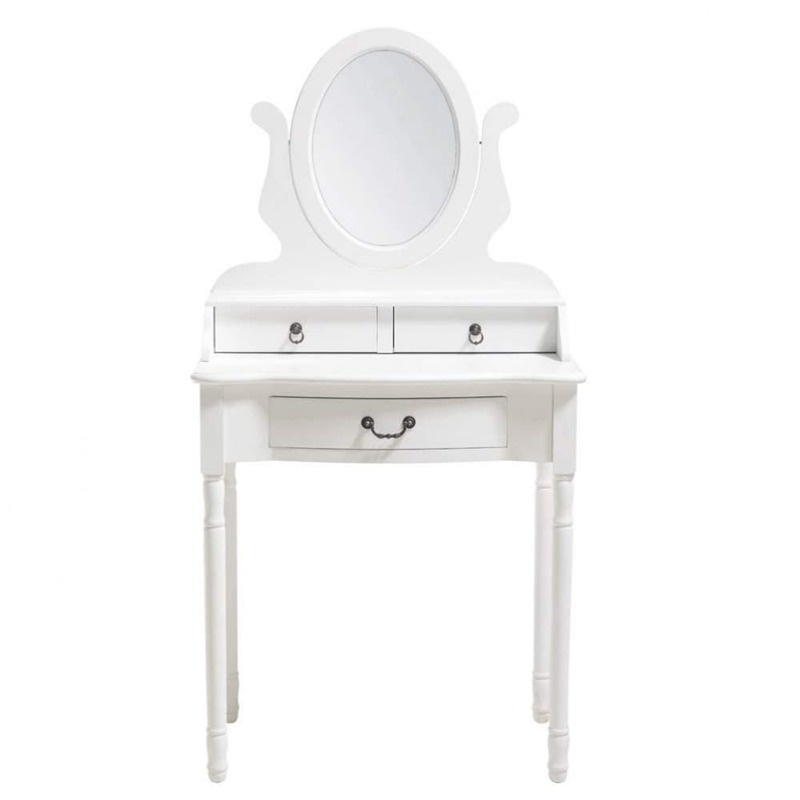 Fall in love with the JOSEPHINE White Dressing Table and add a poetic touch to your living space. 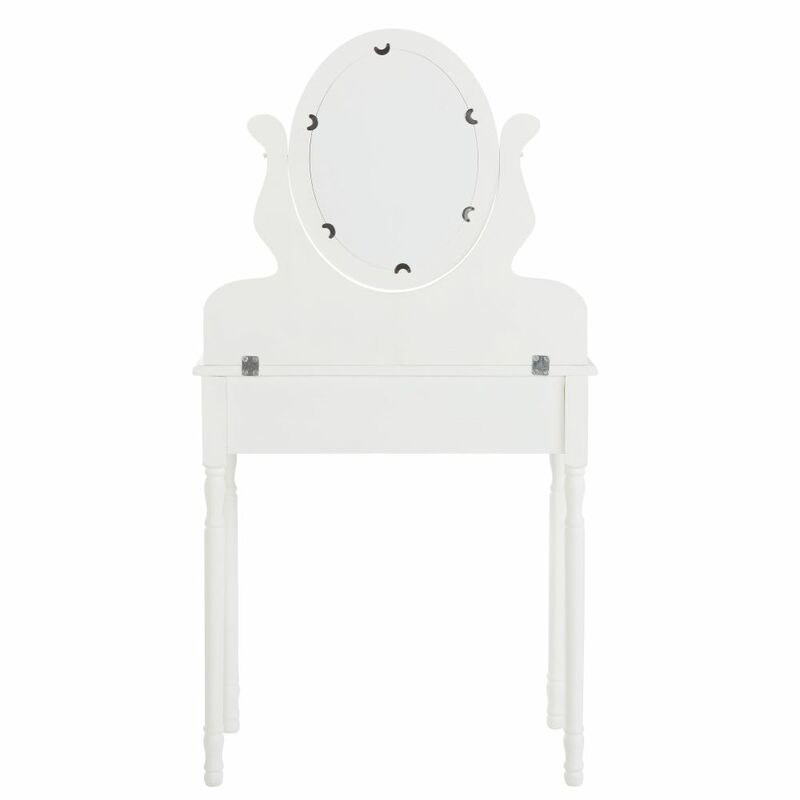 Its pretty antique-style mirror will add a little romance and elegance to your bedroom. 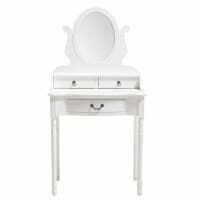 This practical wooden dressing table also features 3 storage drawers. 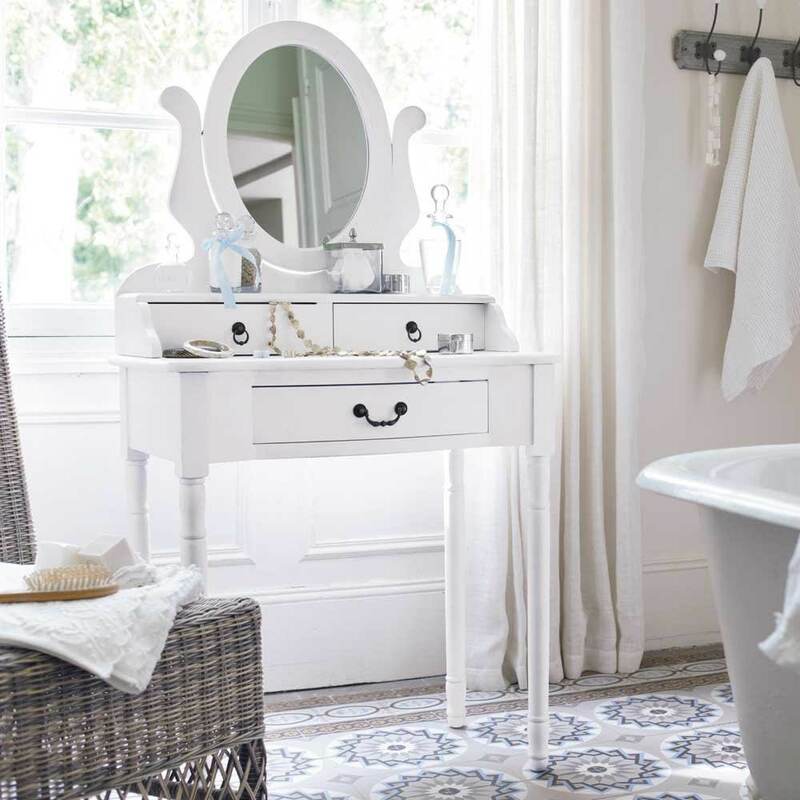 It will offer a stylish home to your styling accessories, jewellery or favourite beauty products. For a harmonious decor, feel free to finish the look with a few patinated frames and scented candles.